Oral and oropharyngeal cancer (cancer of the mouth and upper throat) collectively kill nearly one person every hour of every day of the year. Of the people newly diagnosed with these cancers, 40 percent will not survive longer than five years. Moreover, many who do survive suffer long-term problems, such as severe facial disfigurement or difficulties with eating and speaking. 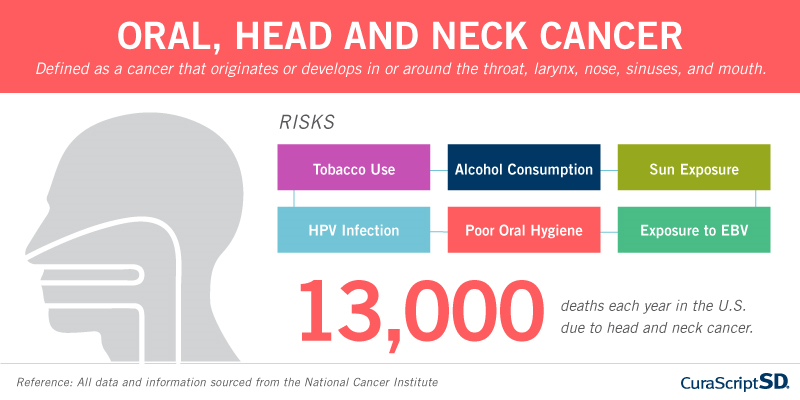 The death rate associated with oral and oropharyngeal cancers remains particularly high because the cancers routinely are discovered late in their development. Fortunately, when oral and oropharyngeal cancers are detected and treated early, mortality and treatment-related health problems are reduced. When it comes to symptoms, keep this two-three week time period in mind, but always call your dentist right away if you have any immediate concerns. Be aware of the symptoms and risk factors of oral and oropharyngeal cancer. Early detection and treatment may well be the key to a complete recovery. If you have never had an oral cancer examination, there is no better time to schedule one than during Oral Cancer Awareness Month in April. When you do, be sure to ask that this examination be made a routine part of all of your future dental check-ups. SEER – National Vital Statistics Reports, Dec. 2013.